Hot summer days call for cold salads by the BBQ. A perfect side to that delicious burger, or chicken breast, or fish. Or just salad. In the summer its tends to be too hot here in Southeast Saskatchewan to want to eat, let alone to eat hot foods. We rarely use the oven, even the slow cooker can be too hot for summer. We like bbqing so the heat stays outside. A cold salad on the side. I hated potato salad, or all salads, growing up. The first time I tried potato salad again was at my sister-in-laws, and it was good. 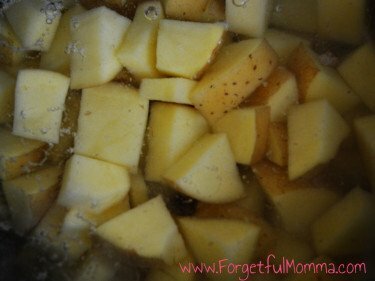 Boil some potatoes. You want your potatoes done, but not too well done, nice and firm still. It’s best to have this one planned ahead of time. It doesn’t work as well as a last minute side, it can be done though, just works better planned ahead. I refrigerate both my potatoes and eggs, once they are diced. The key to a great consistency is dry potatoes. When you are ready to either, serve or head off to your BBQ mix everything together. Some like to mix their potato salad just enough to mix it all together, like me, some, like my aunt, whip it till it is just about smooth. Sprinkle some paprika over the top, optional of course. Mix together all but the paprika in. 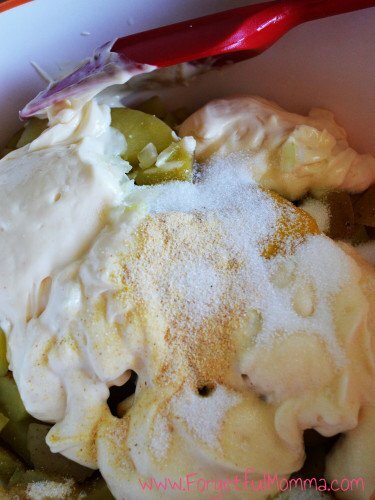 Sprinkle the paprika over your potato salad. I love classic potato salad I don’t think you can beat it. It always tastes delicious. Thanks for sharing the recipe with us at #WednesdaysWisdom see you next week. Potato salad and bbq’s go hand in hand. Thanks for sharing this with us at #AnythingGoes. I’ve never been keen on potato salad but this looks yummy! Love it! So perfect for summer! 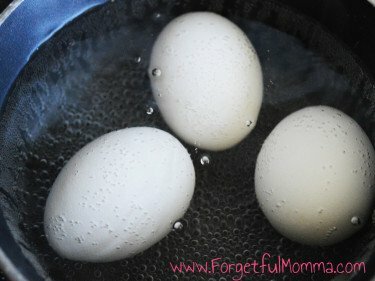 Thanks for sharing this recipe at the Manic Mondays blog hop! I love a good Classic Potato Salad! Thank you for sharing your recipe at the #SmallVictoriesSundayLinkup! 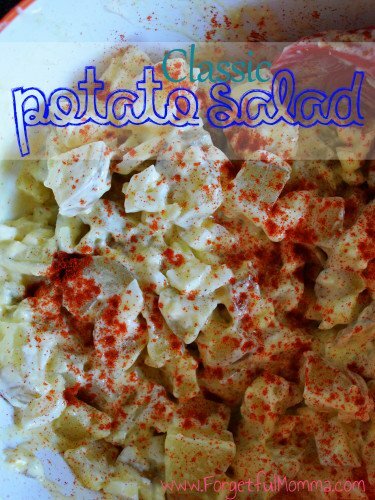 This Classic Potato Salad is very different from the one I know with mayo as its dressing. I would like try this recipe to compare the two. Thank you for sharing.